What's on Netflix > Netflix News > When is Season 7 of Mad Men coming to Netflix? When is Season 7 of Mad Men coming to Netflix? Many of you will be twitching as you’ve been let down that Netflix hasn’t got the latest season of Mad Men streaming on the service. 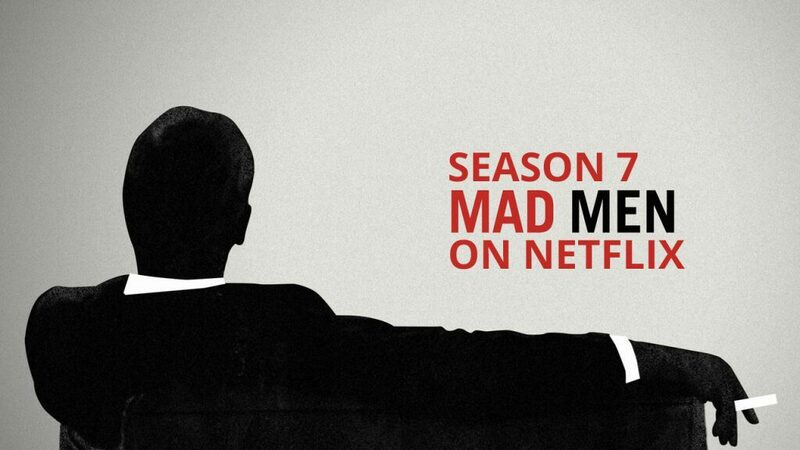 We’re here to spread our knowledge on when you can expect to stream the latest season of Mad Men on Netflix. Given most Netflix contracts last around a year we can expect the series to be added to the service around the same period the previous seasons have been added. Using this logic we predict you’ll be getting season 7 in mid to late March meaning you only have a few months to wait before the new season is streamable. However season 7 which is also the last, has been a rather strange affair given it’s been split into two halves. The first half has now finished airing on AMC which saw 7 episodes air compared to the 13 which is typical for Mad Men. Part 2 of season 7 is expected to release sometime next Spring. What I’m getting at is that as this is something relatively new that AMC is doing we’re unsure how it will affect the Netflix release. As with The Walking Dead season which have, for the past few years been split into two halves we may not get season 7 until both have aired meaning it’ll be much later getting onto Netflix than previous years. If you’re not familar with Mad Men it’s set in a 1960’s advertising agency and gives you a realistic look at how life was in the big apple 50 years ago. The show stars Jon Hamm, Christina Hendricks and Vincent Kartheiser. You can currently stream seasons 1 to 6 instantly on Netflix if you’re in the USA, Netherlands and other European regions excluding the UK. If we find anything else we’ll be sure to let you know first here on What’s on Netflix.